Virtual reality is a technology that offers boundless useful possibilities. Anli He, CEO of the VR startup uSens, envisions VR as a way to “create deeper and more meaningful ways to see and experience things that can’t be physically present,” for example, enabling an architect to allow their client to step into their dream home months before construction on it even begins. But, says He, “the industry has grappled with a myriad of challenges such as with gesture control and with combining [augmented reality] and VR technologies.” These hiccups need to be overcome in order for VR to serve as a viable business tool. uSens may have just made a breakthrough for VR technology. They have announced and will demo two new features for their Impression Pi VR system that will dramatically increase the viability of VR. The first of these features is 3D gesture recognition. This allows the VR unit to recognize and interpret hand gestures, changes in head position and orientation, as well as other movements. This means that, while wearing the headset, users can use their movements to interact directly with their virtual environment. To go back to the house example, this means that users could physically pick up and move components of their design around, giving them greater control in tailoring their home perfectly to what they want. The second major feature announced by uSens is something the company dubs as “Super Reality.” Essentially, this is a way to combine virtual reality and augmented reality systems within the same unit, allowing users to quickly and easily transition back and forth between the two. 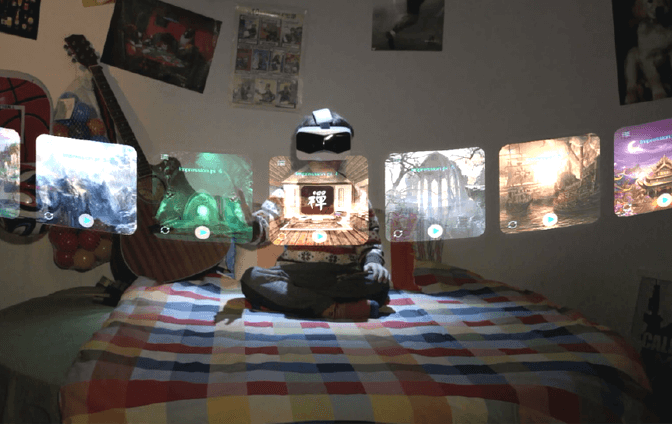 This dramatically increases the possibilities for a single VR unit, and gives users increased flexibility to alter the reality around them however they want.